(1.) Listen to your customers. “Oh, I love your bags! 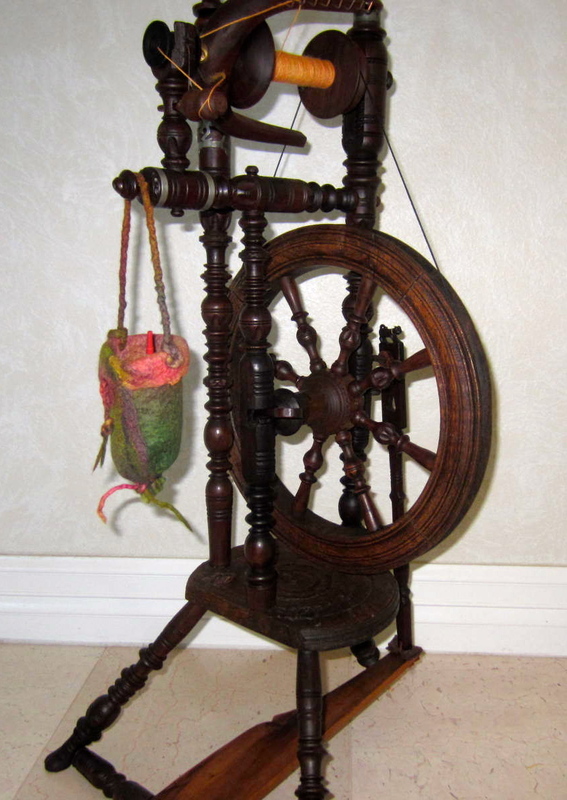 But ~ for the next show~ can you bring some smaller sizes in better proportion to my little spinning wheel?” When a request is so sweetly framed, of course I want to make effort to please. (3.) Keep asking “WHAT IF…?” A mere cylinder doesn’t make a bag. It needs a bottom: what if that were a disc stitched on? Or, what if I just gather the cylinder at bottom like a sack? What if I tie it with felted strings? 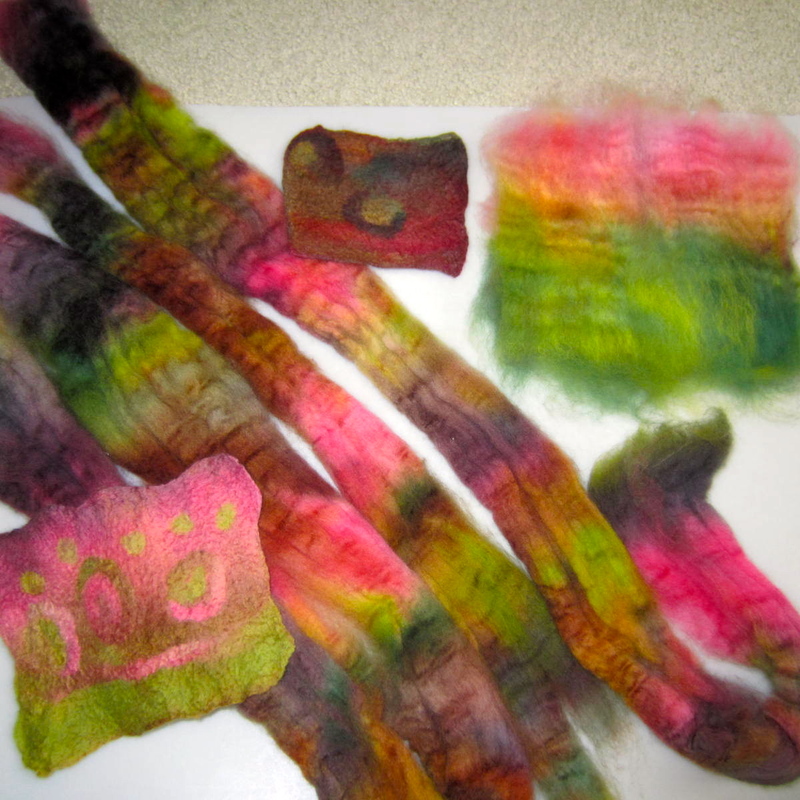 What if the strings are knotted, twisted, braided, rolled smooth or rumpled?” Endless variety results! So…what if …you try them all? And last, remember to thank your customers. In person… if you see them again. Or if not, then in your heartfelt thoughts. Customers often provide inspiration for lovely new ideas! 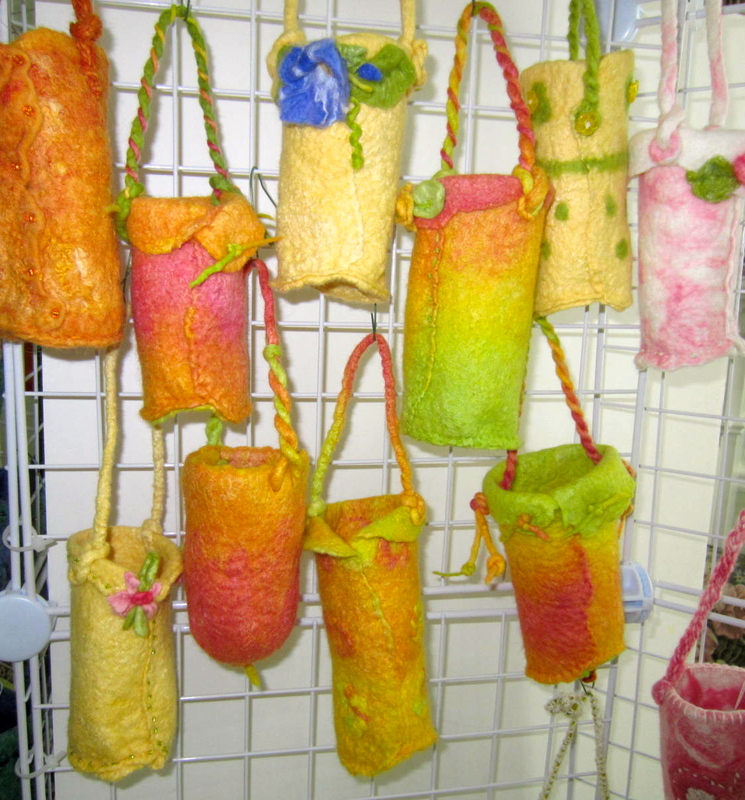 These new Itty Bitty Bags ~ which only a few customers had requested ~ will now become a staple offering in our booth. They are just the right size for a spinning wheel hook, or oil jar, and provide jewel-like bling for your spinning wheel! Come see the new Itty Bitty Bags at Black Sheep Gathering 2013. Fabulous, now which one to choose!? 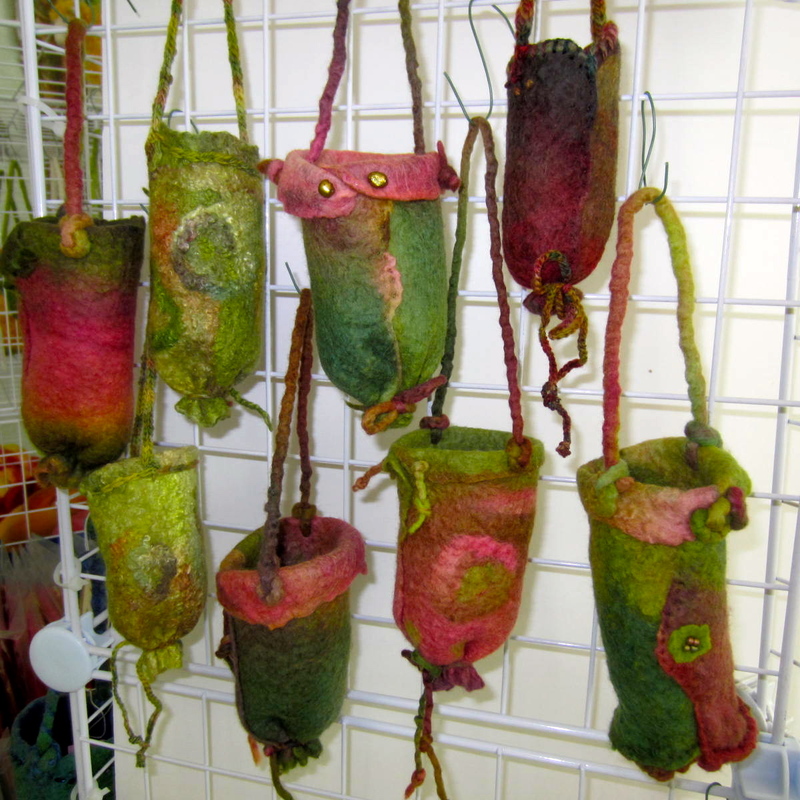 What a charming idea: parking your wee Jenkins drop spindle inside a little felted bag! Ed & Wanda would be quite pleased; they have purchased bags from me before, and I have a couple of their spindles. It’s a mutual admiration thing!